After getting a cold so many times (please, no more sneezing, headaches, fevers, and runny noses >_<), I cannot wait for Spring to start. 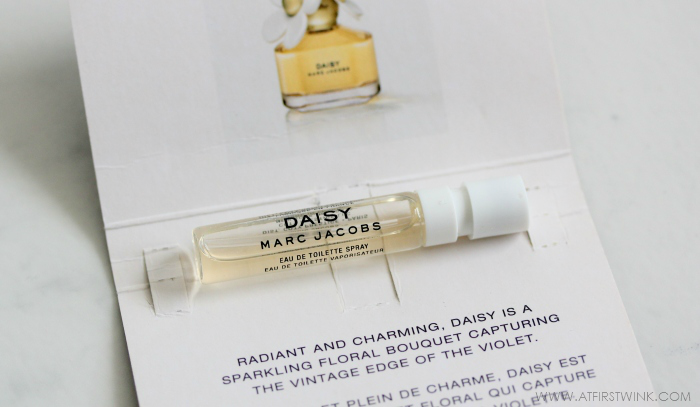 I remembered that I had a fragrance sample of the Daisy Marc Jacobs eau de toilette and I thought this would be the perfect time to take it out and review it. Although I have had this sample for a long time already, I haven't really used it since I don't particularly like heavy or flowery scents. 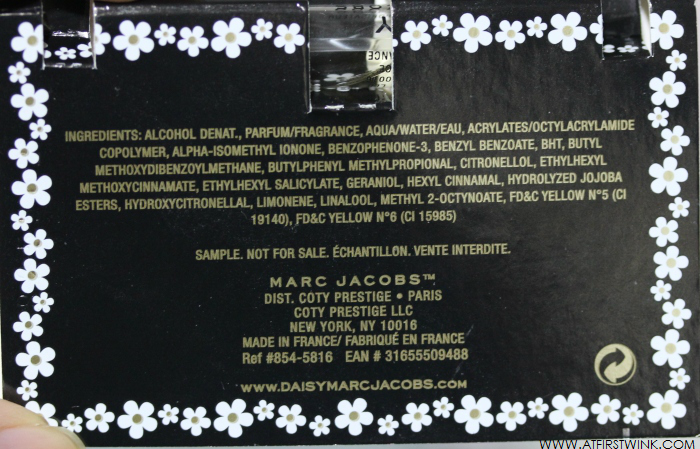 I never gave it a proper chance, but today, I have worn it all day long and paid attention to the changes in the scent. In the first hour after spraying the fragrance on, the strong, warm, floral scent from the violet and jasmine, remains very present and it doesn't evaporate too soon. After one hour, the scent has become more toned down and you can smell the vanilla and musk, which are the base notes, more. I like the scent the most that way, with the vanilla and musk as the dominant notes and the floral notes more in the background. 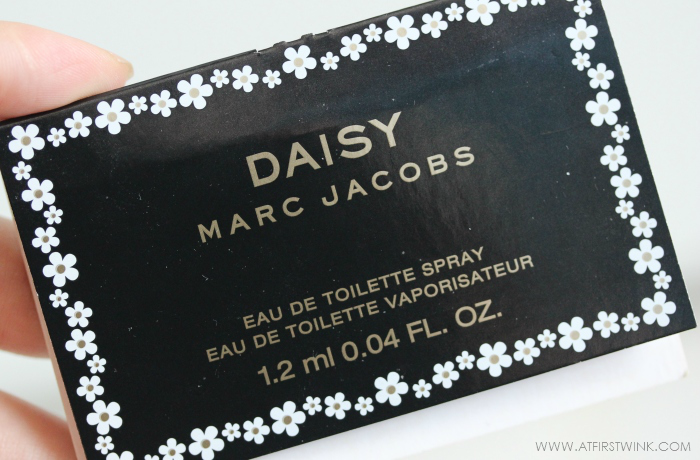 When I saw that the Daisy eau de toilette has strawberry in it, I was very curious about how they have incorporated that into the scent. Sadly, the scent isn't very fruity. The strawberry, together with the violet leaves, act as refreshing top notes to slightly counter-balance the heavier floral notes and are thus not really noticeable during the day. Overall, this is a great scent for people that like floral scents and even for people like me that don't really like floral scents, the vanilla and musk might appeal to you.